FBI agent Puller Monk is losing his mind. His father passed away six months ago and left him a predisposition for Alzheimer's disease. Add to that a lethal American spy raised by the North Koreans, and Monk's life just got a lot more complicated. Aware of his dark side and willingness to take chances no matter what the risk, Monk is asked by the NSA to go undercover. His mission: find the sleeper spy, infiltrate the contact she's been seducing, and stop her before she carries out her shadowy objective. A gambling man with a jones for adrenaline, Monk lives for this moment: It's time to go rogue, to work in the shadows, to follow his own "Quantico rules." But with his failing mind and his demons close at his heels, can he even trust himself? 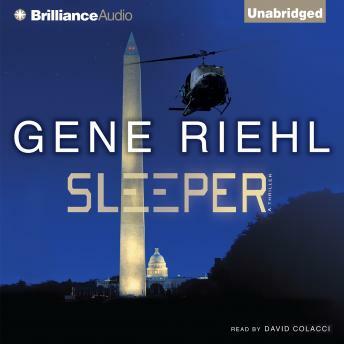 Riehl exploded on the scene with his hit debut, Quantico Rules, but in Sleeper he takes Puller Monk, the most fascinatingly flawed espionage figure in years, to the next level and listeners on a ride unlike any they've experienced before.